This past weekend President Obama stayed at my place. He literally stayed in my building. And I have the picture to prove it. I’ll show it to you in a moment. Check out the picture of this loser protesting on the streets of California. Bizarrely, more and more Americans are falling in love with socialism. A recent survey found that 43% of Americans under 30 had a favorable view of socialism. If these people love socialism so much, they should migrate to Venezuela and take in all of the great benefits that come with socialism. I mean, Venezuela has a fantastic economy, right? Never mind that for every 100,000 residents, 90 are murdered per year (the highest murder rate in the world). Never mind severe shortages of diapers, food, beer, car parts and other consumer staples. And never mind that the government has reduced the workweek to two days in a desperate attempt to save electricity. 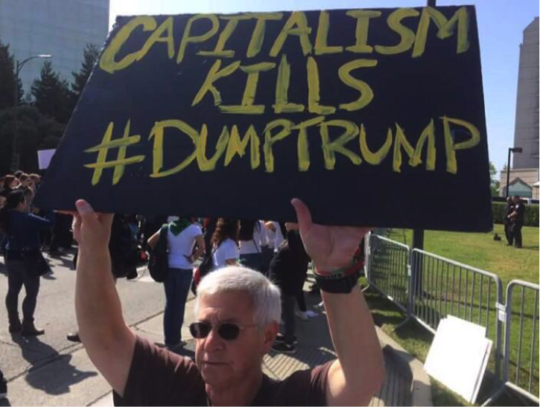 Here’s the problem with Americans who hate capitalism. They look at everything that’s wrong with America and think that since we’re a capitalist economy, capitalism must be bad. We don’t have capitalism in America. With the Deep State pulling the strings, what we really have is crony capitalism. It’s a rigged system where insiders get more wealth and power… while outsiders get the shaft. So let’s not knee-jerk hate on capitalism. And the Soviet Union, Cuba and Venezuela have proven socialism is the best way to guarantee poverty and misery for hundreds of millions. If you don’t agree with me… well, maybe you should spend some time in Venezuela. That might be hard to do, now that airlines have canceled flights in and out. Well, the diehards can still take a boat there. Or they could take their VW buses straight from the Bernie Sanders rally and float to Venezuela. Obama recently visited Saigon. And he stayed at my complex within 50 meters of me. 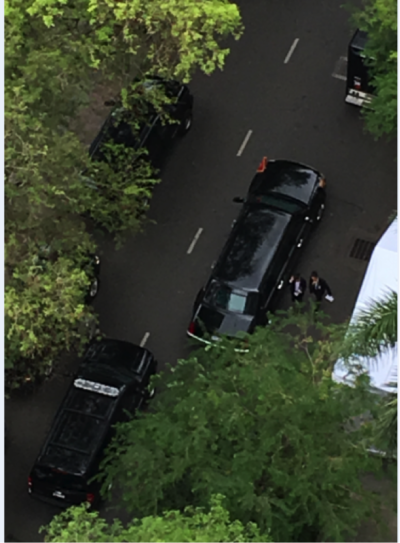 That pic shows the presidential motorcade setup process. 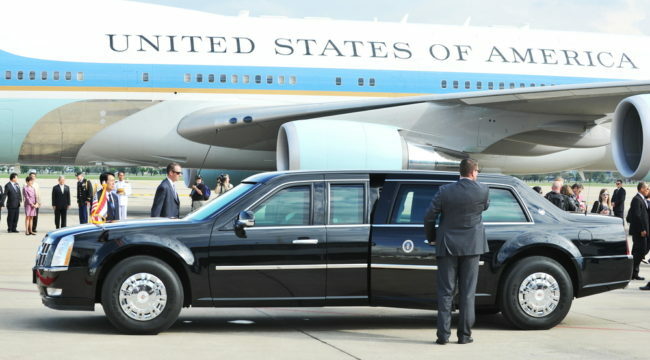 I actually watched the setup for the President to exit the building for nearly three hours. Warning: I’m so passionate about this topic that I dropped a few F-bombs during this podcast. If you’re sensitive about that kind of language, I suggest you don’t listen. You’ve been warned. Please send me your comments to coveluncensored@agorafinancial.com. Let me know what you think of today’s podcast.